Badman Bullets produces the finest hard cast lead bullets and polymer coated bullets backed by great customer service. Use one of the above links to get in contact with us with your immediate needs. I have reloaded ammo just shy of fifty years. These are by far the best cast bullets you can obtain outside of casting them yourself. I highly recommend them to everyone! Ya can't beat these guys for quick service! I have bought several styles of bullets from Badman, so I didn't think I was taking much of a chance trying out some of the new polymer coated bullets. And I was right. They are clean, easy to work with and reload, and also great shooters! Like every other type of bullet I've purchased from Badman, they are excellent. I'll be back. And back. And back. I will never order another bullet from anywhere but badman. These high quality polymer coated bullets perform as advertised. They are virtually smoke free and leave little residue behind. Anytime I have had a question Patrick has responded within minutes. Please support this veteran owned business. I'm new to Cowboy Action Shooting. The bullets I received are perfect for this purpose. I've purchased other products from the company without any issues - fast response. 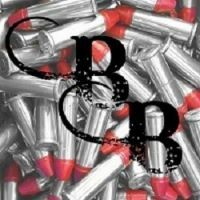 Best prices I've found for .44 cal bullets. Site was easy to navigate. Will use again! I HAVE USED HUNDREDS OF THESE COATED BULLETS IN BOTH 9MM AND .44MAG. SERIOUSLY CONSIDERED THROWING CLEANING ROD AWAY! I placed a large order (3,500) for .45 Colt bullets in four different weights and diameters. It is unbelievable how fast the order was filled. Besides the superb quality, which is customary for Badman Bullets, the entire order arrived in 3 days from all the way across the U.S. Badman Bullets has been and will continue to be my source for bullet.